I impress my colleagues through my grace and imposing pyramid shape. I make heads turn with my soft needles of a rare perfume. 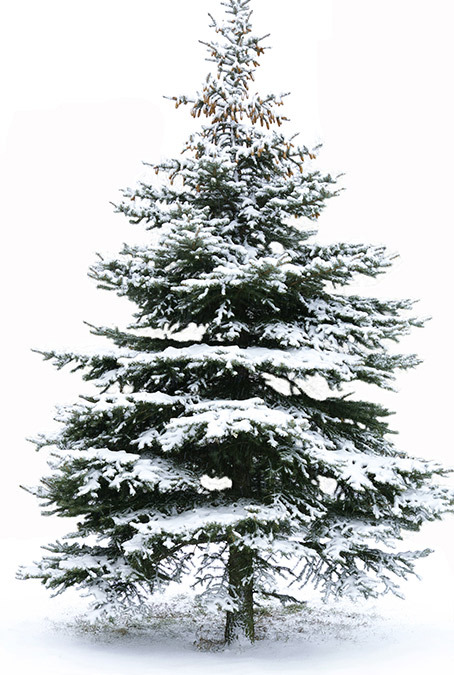 The Balsam fir (ABIES BALSAMEA) comes from the PINACAE family, native to North America. It is, without a doubt, the most popular tree at Christmas time. Deep green in color, it can grow up to 20 meters in height and 60 centimetres at the trunk. With an overall pyramid shape, this tree can live up to 70 to 150 years old. 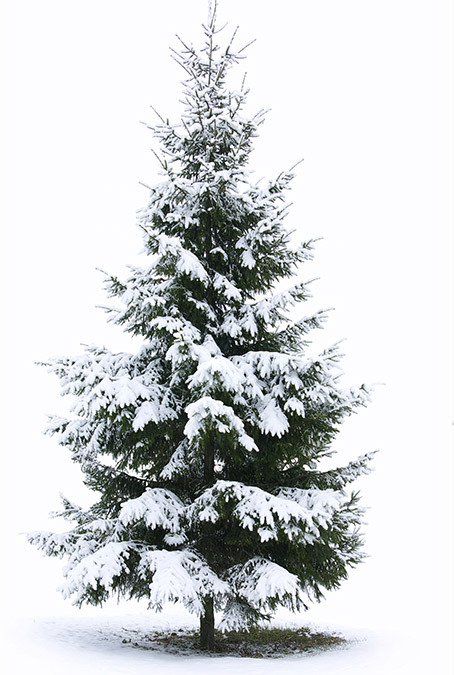 It is an evergreen tree, this tree can measure up to 25 meters high, with an average diameter at the trunk 30 cm. 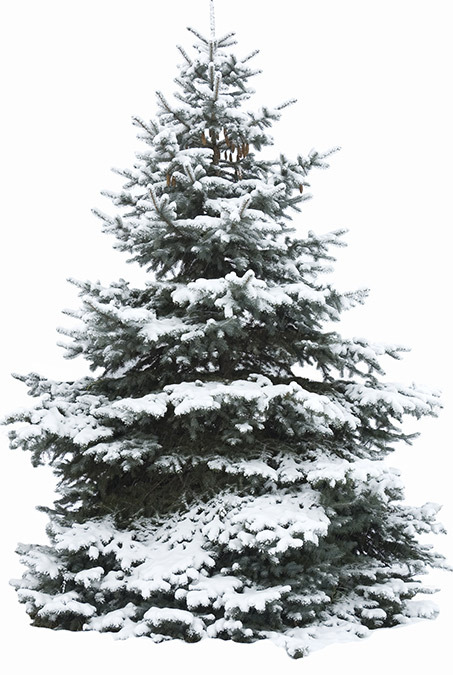 Provided and bushy, this blue tinted tree has strong branches, capable of carrying heavy Christmas decorations. 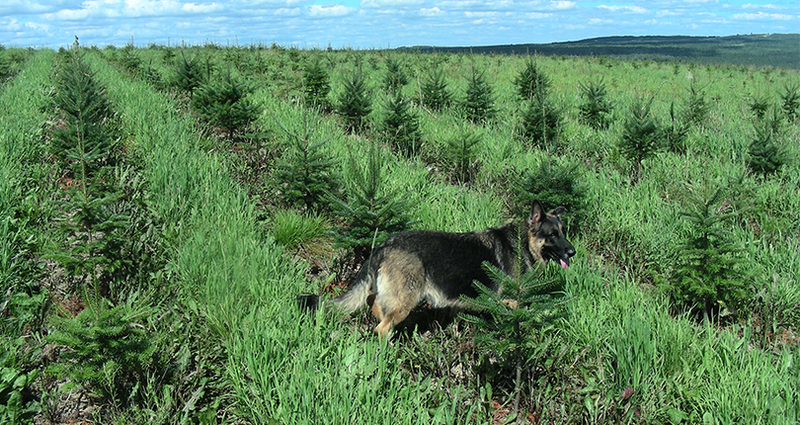 Nearly odorless, this tree is renowned for retaining its needles longer than balsam fir. The needles are straight, flat section, relatively short 10 to 25 mm long and 2 to 2.2 mm wide with a notched apex. The upper side is crossed needles, glossy dark green with stomatal ranges to the apex, the face less than two strips of 8 to 12 lines of stomata, and each strip is twice as wide as the midrib giving needle a whitish appearance. The needles are arranged spirally on the branches but twisted at the base to form two rows in the horizontal plane (subdistique available). The crown is conical, with straight horizontal branches or at an angle of 40 ° up the trunk, it is dense when the tree is young. Bark smooth, thin, gray-brown with resin blisters. Wrinkled hands a strong smell of resin. Petition the most beautiful tree in Canada twice: in 1997 and 1998. 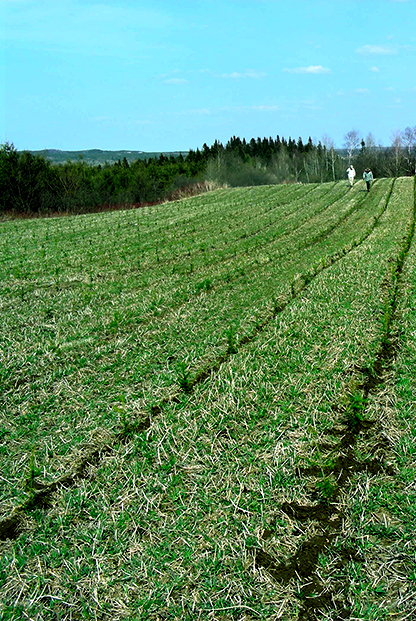 Product of Nova Scotia, I grow in wild stands as opposed to my counterparts in Quebec which grow in plantations.